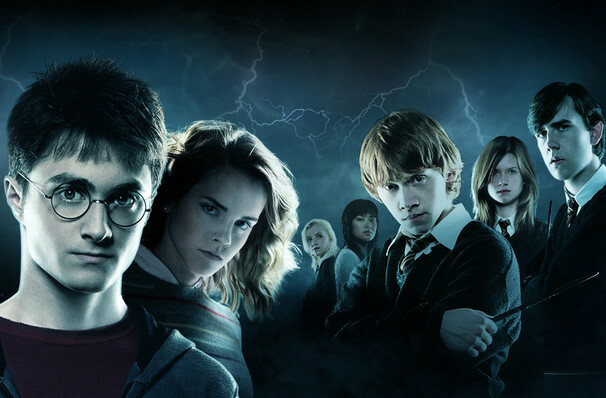 Why See Harry Potter and the Order of the Phoenix in Concert? Join Harry Potter as he enters his fifth year at Hogwarts in this live to film concert, backed by a full orchestra playing Nicolas Hooper's magical score as the adventure plays out on a huge screen. So grab your cloaks and brooms and prepare for the Boy Who Lived's most epic adventure yet presented in unforgettable style. When his summer at the Dursley's is cut short by an unexplained Dementor attack, Harry is whisked off to the mysterious Grimmauld Place where he discovers the Order of the Phoenix - an organisation created to fight the Dark Lord, made up of many familiar faces. Determined to fight now Voldemort is back, he sets up his own force, 'Dumbledore's Army' - aiming to teach his classmates how to fight dark magic. But it's not just Voldemort Harry and co have to contend with, but an even more dastardly villain - new teacher Dolores Umbridge, a ministry official with reform on her mind. The darkest outing in the series so far, OoTP covers The Golden Trio's attempts to thwart Voldemort, alongside heart, humour, sadness and even some snogging. Harry Potter is officially a teenager! 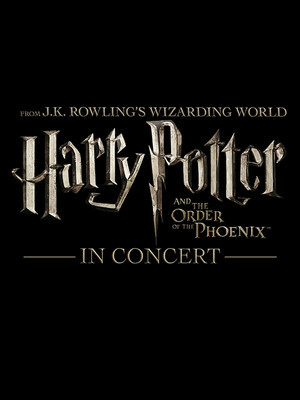 Seen Harry Potter and the Order of the Phoenix in Concert? Loved it? Hated it? Sound good to you? Share this page on social media and let your friends know about Harry Potter and the Order of the Phoenix in Concert at Jacobs Music Center. Please note: The term Jacobs Music Center and/or Harry Potter and the Order of the Phoenix in Concert as well as all associated graphics, logos, and/or other trademarks, tradenames or copyrights are the property of the Jacobs Music Center and/or Harry Potter and the Order of the Phoenix in Concert and are used herein for factual descriptive purposes only. We are in no way associated with or authorized by the Jacobs Music Center and/or Harry Potter and the Order of the Phoenix in Concert and neither that entity nor any of its affiliates have licensed or endorsed us to sell tickets, goods and or services in conjunction with their events.